I don’t remember learning arrays as a kid. It’s one of those concepts that someone had to explain to me before I could teach it myself. First, what a great visual representation of multiplication. And it’s so orderly. Second, arrays make an excellent bridge between multiplication and area! And I think anything that can easily bridge two topics, effectively killing two birds with one stone, is concept I can get behind! 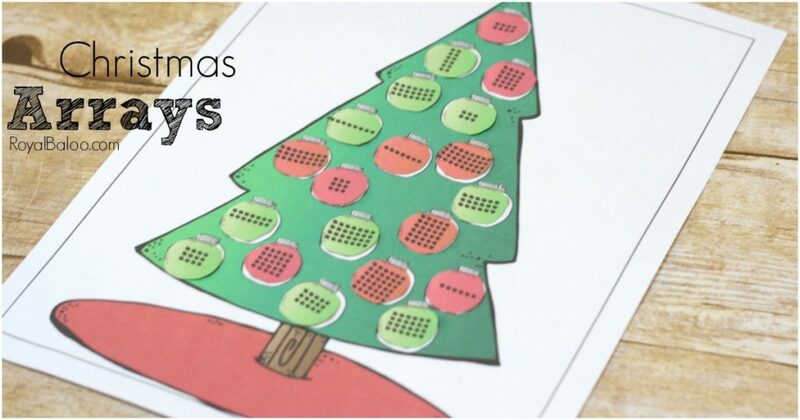 It is day 4 of Cassie from 3 Dinosaurs.com and my 12 Days of Christmas printables! Just two days left of the math portion after this! 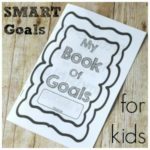 If you’d like to be kept up to date on the printables i put out, there is a weekly newsletter that highlights one theme at a time. An extra exclusive freebie is included each week! Nothing special for set up here. I cut the ornaments out beforehand simply because they’re a PITA to cut out. If you want to reuse it multiple times, you might try laminating it. I imagine the little ornament pieces would get bent out of shape pretty quickly! 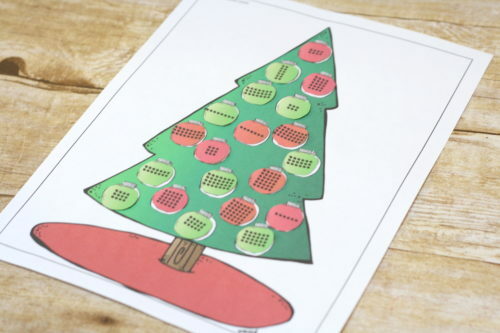 The idea of this printable is to work with arrays on multiplication. I’d encourage the kids to find the equation to match the array and solve it. They can double check their answer by counting the dots, if necessary. So they should look at the array, count the rows and columns, and multiple. An array with 6 columns and 3 rows would be 6×3. That ornament would match up with the number 18. After solving for the answer, they need to find the proper ornament on the tree. Put the array ornament on the product ornament, and voila, done! There are 20 ornaments in total. The factors are all between 1 and 8. 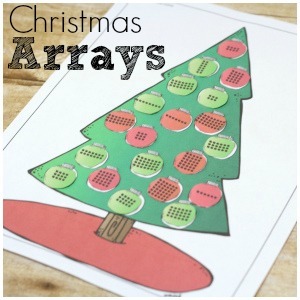 Go Here to Download the Christmas Tree Arrays Printable!